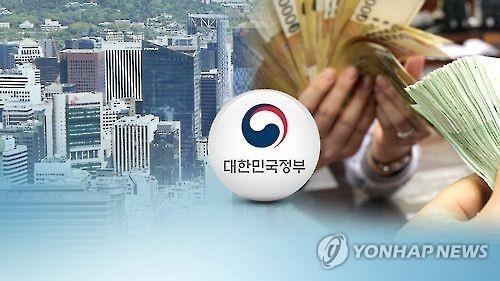 SEJONG, Aug. 10 (Yonhap) -- South Korea's tax revenue was tallied at 16.5 trillion won (US$14.8 billion) in June, up 2.4 trillion won from a year earlier, data showed Friday. Income tax revenue amounted to 6.6 trillion won in June, up 0.7 trillion won from a year earlier, due to a rise in wage and property transactions. Dues collected by companies also increased 600 billion won on-year to reach 2.6 trillion won in the one-month period, the ministry said. The value added tax revenue was 2.3 trillion won, up 500 billion won from a year earlier. In the first six months of the year, state tax earnings reached 157.2 trillion won, up 19.3 trillion won from a year earlier. Fiscal spending was tallied at 174.1 trillion won in the January-June period, 11.5 trillion won more spent than earlier planned, the data showed.